Cadence and the Fashion Show Party! 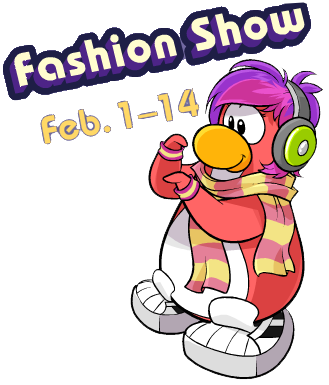 So, most of you haven't heard that cadence is coming to Club Penguin Febuary 2,2012!! She will be appearing for the Fashion Show Party! It's going to be really hard to find her so we recommend you use our tracker on the right side of our website! I cant wait for cadence to get online! I'm going to try extra hard to find her! !